It may not appear right away, however water damage in a day care center can have very negative effects on any New Jersey or New York community. Busy moms and dads depend on these facilities to help them with their most precious resource, their kids. Parents typically count on day care centers when they have to go to work. 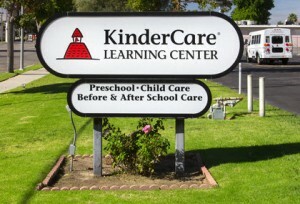 When water leaks, indoor flooding disturbs a day care center’s operation, a neighborhood could be taking a look at additional concerns of employees requiring time off since they do not have a place where they can leave their kids for the day. 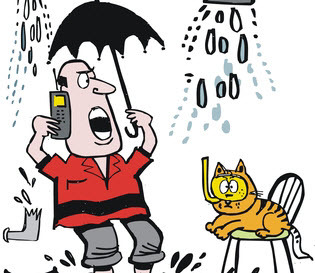 If you run a day care center that’s been struck by recent water intrusion, call AllStates Restoration right away. We provide fast and safe water damage clean-up services to obtain your facility back to its pre disaster condition quick. We have the manpower, experience and tools needed for handling indoor flooding. We likewise have the know-how to repair, replace and rebuild whatever the water has damaged in your property. When pipe burst and water intrusion take-place, damage to your building structure and its contents takes a rear to the health and wellness dangers to the kids who go to your center. Flood-water is extremely unsanitary and it carries hazardous microbes which could easily infect kids whose immune systems are not fully developed. Skin irritations, gastrointestinal disorders and respiratory issues are just a few of the illness that can happen to people impacted by a water damaged day care centers. It’s also likely for toxin-secreting mold or mildew to grow in the aftermath of water intrusion. Mold produces spores that constantly fly around, waiting to be inhaled or to land on skin. When this happens, victims can experience a wide range of toxicity signs and symptoms that might consist of: nausea, throwing up, vertigo, asthma attacks, and over long time periods cancer. Do not take any chances with the health of the children entrusted to your day-care center. Get expert assistance from an experienced restoration company like AllStates restoration. We’re experts at tracking every last drop of undesirable water in any facility, evaluating the total damage, consisting of water and humidity, then taking all of the bad stuff away. After everything’s neat and dry, we follow up with disinfection to eliminate all the damaging microbes that just didn’t remove with the water. If we discover mold growth, we’ll use powerful negative ion and ozone technology to kill the fungi and prevent it from returning. When we’re sure your facility is safe and sound, we will start repair services on any damaged facilities. That would consist of walls, floors, doors, windows as well as your electrical wiring. We’ll change and rebuild exactly what cannot be repaired and we’ll make sure to match how your structure looked prior to the flood took place. The exact same applies to your day care center’s contents. We will account for appliances, carpets, rugs, furniture and even toys and games to see which are salvageable and which are not. Our crew of content restoration specialists will go through each piece and do everything they can to breathe new life into them. Water damage in day care centers is a problem that can just get worse the longer that you wait on it. If you notice signs of water intrusion in your NJ, NY, CT or PA facility, call us immediately and get assistance from our friendly personnel. We’ll drive right to your location and provide a free evaluation and expense estimate. For general questions, you can go to our Contact Us web-page and leave us a message. 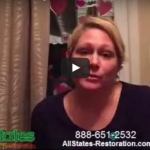 Call AllStates Restoration today to get help from our experience team. For all your Day Care Center water damage Restoration, Cleanup and flooded basement cleanup needs in the NJ NY PA and CT area, trust AllStates Restoration to get the job-done right fast. To schedule daycare centers water damage restoration appointment, call 888-651-2532 or click here.